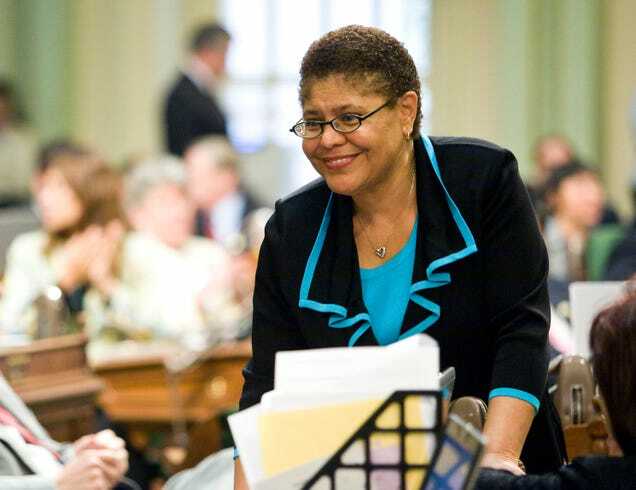 How Come No One in the Justice Department Can Explain the ‘Black Identity Extremists’ Report to Rep. Karen Bass? The FBI created a 12-page document that ostensibly targets the Black Lives Matter movement titled, “Black Identity Extremists Likely Motivated to Target Law Enforcement Officers.” It claims that the August 2014 shooting of Michael Brown in Ferguson, Mo., was the tipping point for widespread anger and violence. Yet when members of the Justice Department appeared before the House Judiciary Committee, no one seemed to be able to explain exactly what the document is or how or why it was created. And who is this movement? The report describes a half-dozen highly publicized killings of police officers by black perpetrators in various cities and links them under the “BIE” label based on no other apparent connection but their reported hatred for police. The problem with the report is everything. The FBI, the nation’s top law enforcement agency, doesn’t seem to know anything about it; nor does the Department of Justice. Not only does no one seem to be able to explain who “black identity extremists” are, but they have been considered and noted as domestic terrorists. “The FBI assesses it is very likely incidents of alleged police abuse against African Americans since then have continued to feed the resurgence in ideologically motivated, violent criminal activity within the BIE movement,” the report states. Yet the only person who seems to be holding top brass accountable is Rep. Karen Bass (D-Calif.), who left Attorney General Jeff Sessions befuddled and Deputy Attorney General Rod Rosenstein speechless. “OK, so you haven’t necessarily read the report, but you are familiar with the term ‘black identity extremists’?” Bass asked. “Well, I think so, yes,” Sessions said. “Are you aware of white organizations that do this as well? Given that white supremacy is a well-documented, well-researched movement, such as the neo-Nazis, the Ku Klux Klan, etc.—are they white identity extremists?” she asked. Sessions feigned confusion, as if he did not understand what was a very clear and direct question. During Wednesday’s House Judiciary Committe hearing with Rosenstein, Bass again wanted answers about documents coming from the FBI that appear to indirectly label the Black Lives Matter movement as a terrorist organization that threatens police. She also noted that members of the Black Lives Matter movement have been questioned by the FBI, yet no one seems to know anything about the document or how the conclusions in said document were made. Watch Bass’ takedown of Rosenstein because it is glorious, but don’t go to sleep yet, as someone still needs to explain what that document means.